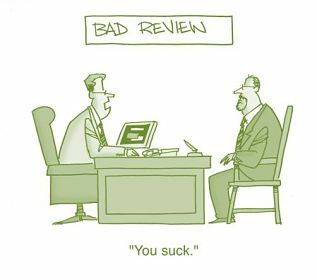 It’s that time of the year again, time for the performance appraisal discussion. A very small part of the performance management process that provides an incredible opportunity for the participants to engage in discussion about what motivates them towards goals and to seek support for the things that hold them back. So why is performance appraisal one of the greatest sources of conflict in organisations? Why do we fail when Getting Results From Performance Appraisal? Very few managers are ‘naturally’ good in appraisal and many employees are unprepared to make the best of the opportunity and let’s face it even the most effective process will be ineffective if the participants don’t know how to make the best of it.. Very few managers are ‘naturally’ good in appraisal and many employees are unprepared to make the best of the opportunity and lets face it even the most effective process will be ineffective if the participants don’t know how to make the best of it. What does appraisal mean to you? Identifying a shortcoming in performance and offering a development solution. Answer the question “What’s in it for me”? How does your appraisal document help people to focus on priority issues? What cultural competencies does your organisation value? What are the most important responsibilities and accountabilities of the job holder? What major projects has this employee contributed to in addition to their regular duties? What important achievements and accomplishments or unique strengths does the job holder demonstrate? BARS – Behaviourally anchored rating scales a continuum of descriptive statements of behaviours ranging from least to most effective. Avoiding resistance to negative feedback and using negative feedback in situations in which it’s most likely to be accepted. Are you interested in learning more? Check out these courses and resources I’ve created on the same topic.